On December 18, 2008, my family was on a long drive home from NYC from what would ultimately be my daughter Lauren’s last doctor appointment. Lauren had been fighting a brain tumor for more than 5 years. After this visit, she began to think about everything she wanted to do – become the first female president, get a perfect score on her SATs, and go to Harvard Law School. And so she began to develop an idea to grant children their final wishes. She spent that long drive mapping out her final wish—the seed for what would become the ELLE Foundation, an organization dedicated to creating memories of joy for children with cancer and granting final wishes for children battling a reoccurrence. Less than a week later, Lauren left us to return to heaven. Although creating the ELLE Foundation granted the final wish and vision of our Lauren, Lauren’s wish continues to touch the lives of more and more children. Since our launch in 2010, we’ve granted more than 42 wishes to children around the country. We sent a child to Nashville to receive a handmade Gibson Les Paul guitar, introduced another to Santa Claus and orchestrated an early viewing of Star Wars: The Force Awakens for a girl and her father. All the wishes we grant are special and unique. Most importantly, each wish grants a child something they need most during a dark time – a moment of joy with the family they love. I suppose part of what makes this story remarkable is my wife, daughter, and I operate the ELLE Foundation as volunteers. All funds go towards granting wishes. We donate our time, as does the entire staff, to ensure we can grant as many wishes as we receive. It’s our mission to bring joy to children like Lauren and we are grateful to do it. 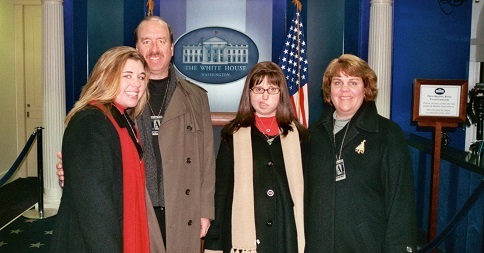 Back in 2008, my family started the ELLE Foundation to fulfill Lauren’s last wish and to continue the legacy of our daughter who we so love and cherish. During National Volunteer Month, I’d urge anyone reading Lauren’s story to think about the ways you can fulfill the wishes of others—be it starting your own cause, volunteering at a local charity, or simply helping a loved one in need. You’d be amazed at how doing so grants wishes you never knew you had.